2. Add de oi: several minuscules including 33 etc. Analysis: This provides another example of a place where Sinaiticus diverges both from Vaticanus and from the received text. 4. One codex (Psi) reads allelous agapasate (“love one another”). 5. The critical heavyweights Sinaiticus, Vaticanus, and Alexandrinus agree in omitting the participle. There is a strong external argument for keeping the participle with the imperative since this is typical of the Petrine style. The verb “to submit” is also a Petrine favorite (cf. 1 Peter 2:13, 18; 3:1; 5:5). Third, in v. 6 after the prepositional phrase en kairo (“in due time”) some manuscripts add episkopes (making the phrase “in the time of visitation”; cf. “in the day of visitation” 1 Peter 2:12). This addition appears in Codices A, P, and Psi and in various minuscules. It is not included in the traditional text or in the Alexandrian heavyweights. 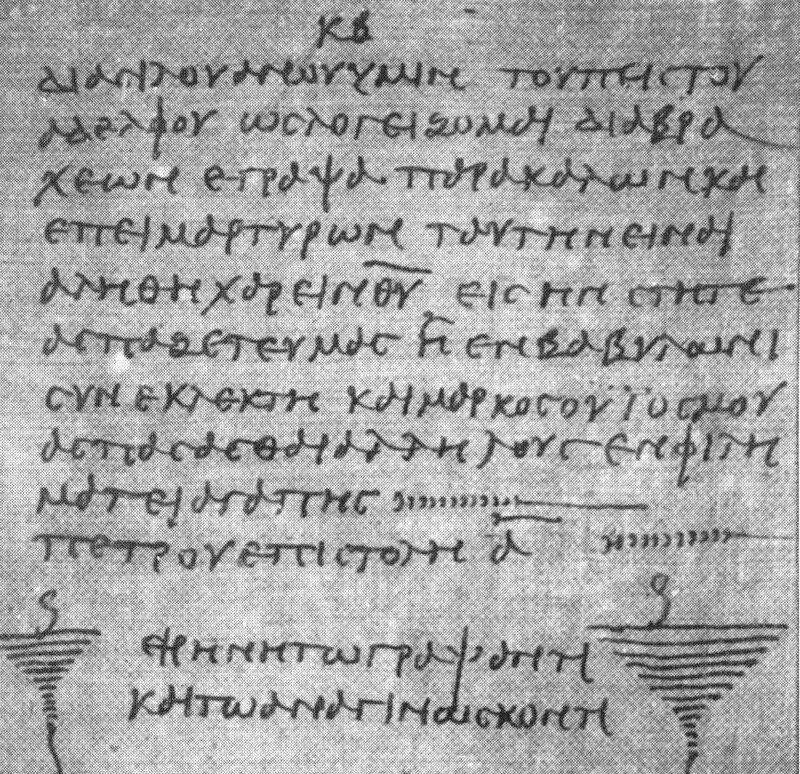 Oddly, Metzger says, “After kairo the Textus Receptus adds episkopes….”; he then dismisses it as a “scribal addition derived from 2:12” (Textual Commentary, p. 696). This is odd because Scrivener’s printed version of TR does not include episcopes and translation based on the TR do not reflect its inclusion (cf. the AV which reads: “that he may exalt you in due time”). Is this an error by Metzger? Analysis: Contrary to Metzger, this appears to be a place where the so-called “oldest and most reliable manuscripts” support the traditional reading over against variations found in other ancient sources (including Codex Alexandrinus). Conclusions: One of the typical comments made by those who support the modern eclectic text is that there are only a handful of major textual issues in the NT (namely the pericope adulterae of John 7:53-8:11 and so called Longer Ending of Mark [Mark 16:9-20]). Comparison of the received text and the modern critical Greek text, however, reveals variations in nearly every verse in the NT. What does this mean for the stability of the text of Scripture? For its canonicity? I have been trying for some time to find the arguments of critical editors for excluding hupotassomenoi from their editions in this verse, and counter-arguments. I have not found anyone who even acknowledges that the participle exists among the critical editors, nor can I find any discussion about manuscript variations in I Peter 5:5 except yours. Since I have many text-critical and majority text resources this baffles me and makes me believe that there is some embarrassing reason for the failure to even discuss the evidencial isues. 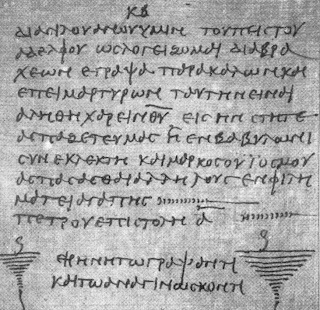 I have found evidence that there were 106 manuscripts recognized by Kenneth Yoo as of 2001 that contain parts or all of I Peter, but as to the completeness or condition of these manuscrpts I can find very little information.Mr.Yoo has classified the I Peter manuscripts as having 27 Alexandrian text-types, 63 byzantine text-types, and 16 mixed text-types. According to William Pierpoint's Majority Text Notes ALL the Majority Manuscripts contain the partiple in this verse. Comfort and Barret believe P72, a small codex made for private use to be the oldest I Peter manuscript, and they characterize it as a "free and often careless transcription..". P72 does not contain the participle. I thank you for bringing up these verses and ask that if you know where I can find more details on the I Peter manuscripts and particularly the thinking of various editors about hupotassomenoi that you would pass it along. Thanks for your comment and for the information. Sounds like you've done some good research. I don't have any other info about manuscripts. My study is based simply on study of the apparatus of NA 27. It might be interesting to see if NA 28 makes any changes in the apparatus. I think the omission of the participle probably comes from it being lacking in p72 and the modern text critical impulse to give pride of places to manuscripts they deem to be the oldest, particularly the papyri, neglecting to consider the possibility of unintentional or intentional error. Clearly the participle was included in the ecclesiastical text.